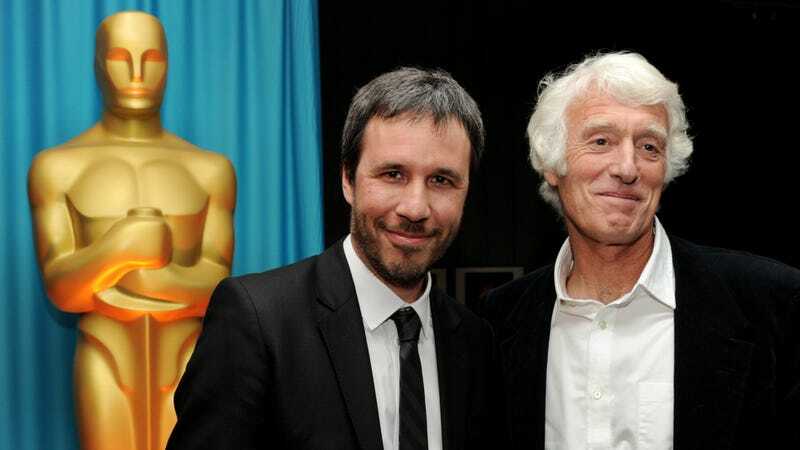 Roger Deakins has been instrumental to no shortage of iconic directors, the English cinematographer having cultivated indelible visuals for the Coen Brothers, Stephen Daldry, John Sayles, Sam Mendes, and Ron Howard, among many, many others. After years of snubs, he won his first Oscar last year for his work on Denis Villeneuve’s Blade Runner 2049, which led many to think he’d be a shoe-in for Villeneuve’s upcoming Dune adaptation. After all, the pair also collaborated on Prisoners and Sicario. It appears that won’t be the case, however. IndieWire reports that Greig Fraser will serve as cinematographer on Dune, which, as we’ve previously reported, will unfold across two films. Maybe Deakins thought the books were too long? So long as he knows how to make sand look good, Fraser should be a solid replacement—he got an Oscar nomination for his work on Garth Davis’ Lion and was awarded by the New York Film Critics Circle for Zero Dark Thirty. He’s also lent his sharp eye to Rogue One, Mary Magdalene, and Vice, which led yesterday’s Golden Globe nominations. Sand is tricky, though. Deakins’ work, meanwhile, will next be seen in John Crowley’s adaptation of Donna Tartt’s The Goldfinch.